Some fragrances are not meant to be practical, versatile, daily experiences. They’re intended to be playful whimsy, a bit of a laugh for those with very deep pockets who can afford to indulge in a rich man’s expensive luxury once in a blue moon. I think that’s perhaps the best way to interpret and approach Apple Brand, the brand-new, recently released perfume from By Kilian. It is a fragrance that really isn’t something practical for most people to wear on a daily basis, unless you want your boss to think you’re an alcoholic and write you up to HR, or a police officer to look at you askance and subject you to a breathalyzer test. In a nutshell, Apple Brandy makes you smell like you were smeared from head to toe with a 1000 plates of Crepe Suzette, and then fell into an oak barrel of cognac after an all-night bender. 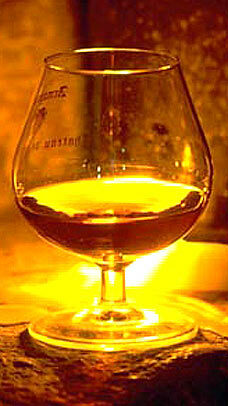 BRANDY is the term used to designate “Cognac“ when your product is not actually produced in the region of Cognac. In order to recreate this very specific “Cognac” scent that belongs in Kilian’s olfactive memory, Sidonie created an accord combining the smoked wood from the Oak casks – Cedar wood from Texas, white Cedar from China and Labdanum from Spain – and the sugar from the alcohol – Vanilla and Ambroxan. APPLE is of course a wink to New York, the “Big Apple”. In order to create an “Apple accord” that would not be anecdotal or too simplistic, we created an “Apple liquor” that would blend, rather than contrast, with the “Oak cask” accord. Oaken barrel, Texas cedar, Chinese white cedar, Spanish labdanum, Vanilla, Ambroxan. Apple Brandy opens on my skin with a tsunami of pure, hard alcohol. I absolutely adore boozy notes, but Apple Brandy takes it to a whole new extreme and level, to the point where I actually said, “Whoaa…..” out loud. For an instant, the opening note is of apple — tart, crisp, and tangy like a Fuji — but it is almost immediately covered with cognac. The liqueur is sweetened with an extremely nutty, toffee’d undertone, and has traces of oak and a thick amber as well. It’s nice, but, my God, is there a lot of it! It’s intense, almost to the point of rawness, and beyond any “booziness” that I’ve previously encountered. The overall effect is exactly like a caramelized apple at a fair, covered in heavy, dense toffee, and then dunked into an oak barrel of alcohol. 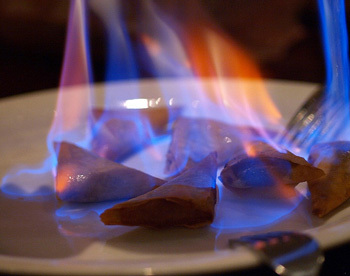 Perhaps a more precise comparison is to Crepe Suzette, the kind were the apple-stuffed crepes are doused with sugar, then flambéed to a caramelized crisp with copious amounts of brandy. On the side, and all around the plate, is a luxurious crème anglaise sauce of slightly eggy, rich vanilla. The intensity of the alcohol tsunami softens after 5 minutes, losing some of its rawness and undiluted, hard edge. I still smell like apple Crepe Suzette, but it’s after some of the brandy has been burned off. The first time I tested it, Apple Brandy was actually quite enjoyable as a cozy, warm, dense, boozy gourmand. I liked the ambered apple compote, and I have a particular weakness for crème anglaise sauce. The vanilla isn’t a huge part of the scent on my skin, but the flickers of it at the edge provide a lovely richness that makes Apple Brandy feel like a decadent indulgence. My favorite part, however, is the oak which really evokes oak barrels in the strongest way possible. It rather brilliant, in my opinion. Apple Brandy is an enormously linear scent with very little change throughout its lifespan. It never transforms in any substantial way, but there are variations of degree that occur after the first hour. 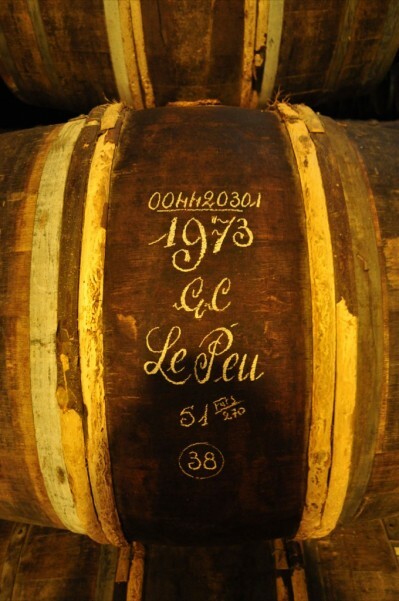 The fragrance’s apple tonalities weaken and slowly fade, while the oak barrels become much more dominant. There is something incredibly appealing about the oak when doused by the caramelized apple and the heady, boozy cognac. The wood is extremely smooth, slightly smoky, and rich, adding a layer of depth to the otherwise simplistic scent. The cedar never appears on me in any distinctive way, but I think it works indirectly from the edges, heightening the oak with that subtle smokiness. Really, the wood parts are beautifully done as a counterbalance to the Crepe Suzette and hard liqueur. At the end of the first hour, Apple Brandy becomes increasingly drier and woodier, particularly as the Ambroxan starts to stir in the base. The synthetic, alas, is a little difficult for me. According to the Good Scent Company‘s olfactory database, Ambroxan’s strength is assessed as “high” or intense, and its aroma is: “ambergris, old paper, sweet labdanum, dry.” Here, it initially adds a warm, sweet, ambered feel to Apple Brandy’s opening, but the dryness takes over about 90 minutes into the perfume’s development. I am much more sensitive to aromachemicals than the average person, and Ambroxan is no exception. The inside of my nose hurts each time I sniff my arm up close, but it’s thankfully not an extreme reaction. As a whole, the aromachemical is well-blended into the fragrance, and doesn’t seem hugely excessive. Still, it’s enough to make Apple Brandy a much drier scent than it was originally. At the start of the third hour, Apple Brandy is a blur of sweetened booze and woodiness on a very dry base. The caramelized apple compote note is muffled, and soon fades away entirely. The vanilla really never showed itself on my skin outside the opening hour where it was more of a supporting player on the sidelines. As for the other notes, they feel quite indistinct and abstract, lacking delineation and overlapping each other, with only the brandy really dominating. The sillage — which was initially quite intense with only a small amount of perfume applied — now drops, hovering only an inch or so above the skin. That’s really the sum total of Apple Brandy’s development on my skin. From the third hour until its very end, the fragrance is merely a dry, semi-sweet, woody, oak and cognac bouquet. In its final drydown, Apple Brandy is just an abstract smear of woodiness tinged with some vague sense of booziness. All in all, the perfume lasted just over 9.5 hours, with generally good sillage that only became a skin scent at the start of the 6th hour. I enjoyed parts of Apple Brandy a great deal, but I have numerous caveats and issues with the scent. 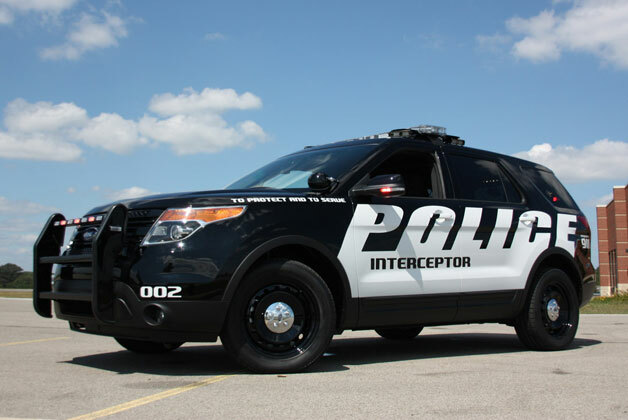 I live in a place where I cannot go anywhere without driving, and where the jackbooted police are notoriously aggressive over the smallest thing. I simply would not dare wear Apple Brandy outside my house for fear that — were I ever to get pulled over — the police would think I’d been drinking and driving. Knowing the police here, there is no way they’d believe my protests, “Officer, it’s only my fragrance.” I wince just imagining the scene. I also would not be comfortable wearing the scent to social occasions either, lest people think I’d been on a bender or had alcohol problems. The smell of liquor is simply so intense from a few dabs, especially in the first two hours, that regular application might smell as though I’d doused my clothes with an entire bottle of expensive brandy. Lastly, as an attorney whose speciality was employment law for big corporations, I would strongly advise against wearing Apple Brandy to any workplace, period. This is the sort of thing that would lead to HR problems, because it really does not convey an appropriate, professional image. On the upside, Apple Brandy might be a lovely scent to wear in your own home on a chilly, snowy winter’s night. It is the perfume equivalent of having a brandy while sitting before a fire. Yet, even as I write that, my brains whispers the other problems with the scent: it’s linear, it’s a novelty act, and it would get boring very quickly. I enjoyed parts of Apple Brandy quite a bit the first time around, especially before the dryness and Ambroxan kicked in. The second time around, however, I was less enthused and a bit bored. There is a somewhat exhausting quality to the scent; it beats you over the head at first, and you’re quite awed by both the intensity and the novelty. Later, though, its unchanging nature wears you down a bit, and you’d like something a bit different than just the incessant clamour of brandied oak barrels. In short, Apple Brandy’s playful, exuberantly celebratory act is perhaps something best suited to a rare occasion. All of that brings me to the next issue: price. Apple Brandy costs $235 for a small 50 ml bottle, and unlike many other Kilian fragrances, I don’t see the (relatively) cheaper refill option listed. I personally would never spend $235 on a fragrance I wouldn’t dare to wear outside the house, and to which I’d turn only once in a blue moon as a novelty. On the other hand, in the same way that a really expensive bottle of brandy can be an occasional indulgence, so too is Kilian’s perfume equivalent. Parts of it are truly enjoyable at times. At the end of the day, price is a subjective matter, so if you have no problems spending $235 to smell like flambéed Crepe Suzette and Hennessy oak barrels, go for it. Just don’t spray on a lot, or you may appear like an alcoholic on a bender. And, for the love of God, don’t drive while wearing Apple Brandy! Cost & Availability: Apple Brand is an eau de parfum that costs $235 for a refillable 1.7oz/50 ml bottle that comes in a black, wooden box. I don’t see the actual, and usually cheaper, refill option listed. The fragrance is said to be exclusive to the new Kilian store in New York, but you can purchase it from the US Kilian website. You can’t find it in Europe, or from the Kilian International site. However, you can always try to call the new boutique in New York to purchase it by phone. The store’s address and phone number are: 804 Washington Street, NEW YORK CITY, NY, 10014. +1 212-600-1298. Samples: I obtained my sample of Apple Brandy from Surrender to Chance where prices start at $6.99 for a 1/2 ml vial. This entry was posted in By Kilian, Orientals, Perfume Review, Woody Fragrances and tagged Apple Brandy, Apple Brandy fragrance, Apple Brandy Kilian, By Kilian, Kilian fragrances, perfume review by Kafkaesque. Bookmark the permalink. By Jove, it’s By Kilian. Ha ha, don’t spritz and drive. Maybe a great New York souvenir? Can you also drink it? (a la Abdes Salaam Attar; never trust a perfumer who won’t drink his own perfumes). Keen to see the New York shop fit-out though. I am sure Kilian Hennessy is a great shopkeeper and his clutch purses are quite nice too. The notes of Apple Brandy almost induced me to go visit the By Kilian boutique in mid-December but I just got too busy. Based on your review, I think I would rather stuff myself with Crepe Suzette than wear it! I’ll still try it though, given the chance. Given your gourmand tastes, I definitely think you should try it, Hajusuuri. I think you’d enjoy parts of it quite a bit, but I’d be curious to know what you thought of the alcoholic intensity of the opening. BTW, Welcome Back!! And happy 2014. I hope you had a lovely time. Happy 2014 to you, too. I am back…just made it before the snowstorm hit on Thursday. I had an absolutely lovely time, stuffed to the gills and OH MY, the beautiful landscape! No wonder it was an artists’ haven! Ah, that is definitely St. Paul de Vence. I’m SOOOO glad you had a good time! That said, I’m also very happy to see your smiling face again, my dear. When I heard they were releasing this a couple of months ago, I just thought that this would be atrocious based on the name. It doesn’t sound like something I would ever want to wear, but instead it was something that was meant to be put on ice cream. Your review just helped to confirm my suspicions. No thanks Mr. Hennessy! Great review. I was curious about this one based on the concept. I find the opening booze note (rum) in Straight to Heaven just manages to walk the fine line between bold and overkill, so Apple Brandy seems out of the question as a daily-wear kind of scent. Sounds like a 10 ml decant might do the trick (and even be more than enough). I think the next time I get struck with the need for a sudden apple fix I’ll probably look toward Konig by YOSH. The opening alcoholic burst in this one definitely exceeds anything in Straight to Heaven!! I think a 10 ml decant would be perfect. Just the right amount for that occasional urge for a super boozy fragrance with both gourmand and woody/dry tendencies, depending on stage. It would be a totally reasonable investment, as I think a little of Apple Brandy goes a long way. I love apple brandy- Calvados is my winter drink. But this perfume sounds- iffy. I love perfume, but a scent I can’t leave the house in without people making assumptions I’m smashed is not what I’d call a real useful choice. I just can’t imagine that any perfume could maintain such a strong alcohol note. I would think that it would evaporate so quickly. I seems a marvelous trick to make it last the way you describe. My only perfume with a boozy note is Ambre Russe and I am always sad when the booziness disappears. As for the apple note, that is one fruit I do have trouble with in a fragrance. Costamor’s Tobacca, has that apple note and I find it smells a bit rotten. But after that fades, it is one of my favorite tobacco scents. Despite your misgivings, i think I just Have to try this, to experience it for myself. Your review reminded me of when my Dad tried to teach me how to sniff warmed cognac from a snifter when I was a teenager and I just didn’t get why this was a pleasurable pastime. You have got me intrigued, Kafka!! Great review! So you think it would be too boozy for me? LOL! I think we *both* know the answer to that. I do wish I liked boozy notes more. I like them in theory, but they almost always call to mind my misspent youth and taking shots. And while once upon a time I could throw them back, now even a single shot is enough to make me feel queasy. Anyway, strong boozy notes always call that to mind, which I think is why I don’t play well with them. This one sounds quite, um, potent. The fragrance of “The Lost Weekend,” if you’ve ever seen that film. Yikes! I’ve never seen it, but given the context in which its name has arisen, I’m not sure it would be my cup of tea. lol. As for this fragrance, given how you barely handle the slightest bit of booziness, you’d hate Apple Brandy. Absolutely HATE it. heh. I don’t think I’ll want to wear this perfume (which isn’t surprising since nowadays I don’t want to wear most of the perfumes that I try) but I will definitely smell it if I get a chance – I’m always curious about By Kilian’s perfumes: I still hope that one day there will be the one that I’ll love. As to the refill bottles, I’m not 100% sure but I think that usually those appear later, not at the same time when a perfume is released. Though maybe with this one being a limited edition they won’t do it at all? 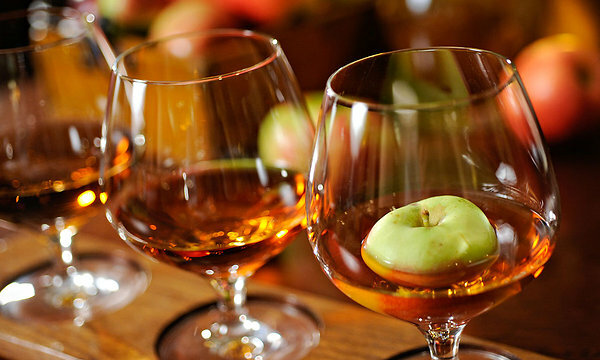 Apple Brandy is not limited edition, but limited distribution. We’ll see if they get the cheaper refills eventually, though I think when Musk Oud debuted, the refills were available at the same time. In any event, I can’t see you wearing such an intensely boozy fragrance. I don’t think it really seems like your style. Hysterical! I want to smell this right now! A trip to the the Kilian shop in the Meatpacking District might be in order. Field trip dearest, but it is going to get brrrrrr cold again! I want to see that snake atomizer for myself…wondering if it is still available? Yes! Field trip! I want to see that snake atomizer and didn’t they have some kind of Perfume Barrel by Kilian? I could have sworn I saw something about buying it by the VAT! I do want that clutch so badly. I tried In the City of Sin again and can’t seem to like it enough to pull the trigger. But I have been stalking a seller on ebay . . . It sounds very pretty on your skin! How interesting that you get very little alcohol. I think Baconbiscuit got a ton, didn’t she? Skin chemistry definitely makes a difference, and it sounds like your version will work perfectly for you. Enjoy your upcoming bottle, my dear! She tried it on skin on the spot and it was not boozy either; however, she was wafting something else good that day because she used 12 sprays of something. You know her – go big or go home :-). I think the only perfume that got the best of her despite only a spray or two was Idole de Lubin (I wasn’t there to witness it as I left Bendel’s before her)….and a homeless person on the subway moved away from her. I just choked on my coffee. Seriously, a homeless person on the subway moved away from her??! With only a few sprays of Idole???!!! ROFL. I’m grinning so much, you have no idea. Oddly, that is a perfume that I think one may NEED a few sprays of, at least if one has a taste for heavier, richer fragrances since it was almost sheer and thin for my tastes (or on my skin). Such a hilarious story, all in all. I rather wish I’d been there with you two that day. Also interesting that Apple Brandy was not boozy on her skin either. Huh. I know a few people who have said that they can’t wear it because they feel as though they’ve fallen into a vat of cognac and it is too, too extreme on their skins. Then, people like you guys at the other end of the spectrum. And Luca Turin still insists that there is no such thing as skin differences, and it’s all a figment of our imagination. Pffttt. Hi Khawla, welcome to the blog! 🙂 I’m glad my review could be of some help to you. As a side note, I’ve covered Kilian’s Sacred Wood and I can tell you that Apple Brandy is a significantly richer, deeper scent. Far more intense in every way to Sacred Wood. I hope that helps. Have a lovely day.